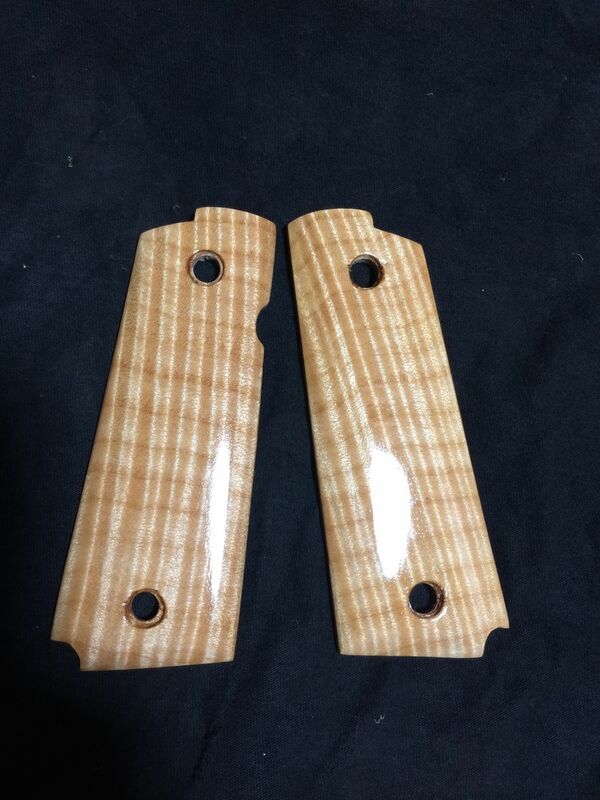 This is a set of fiddle back maple pistol grips. These will fit most 1911 model pistols. 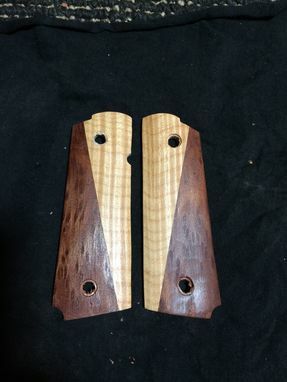 They are hand made from a block of maple I have. These have been finished with multiple coats of polyurethane. 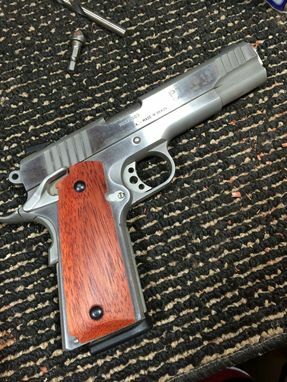 I can custom make grips for any style of pistol. 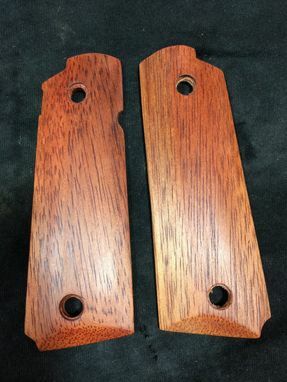 I would just need your plastic grips to make a template from and then would return the plastic grips with your new wooden grips. I have a wide variety of exotic wood for you to choose from.